What is Labor Day Anyway? Have you ever wondered what the Labor Day holiday was, or where it came from? You know there are big sales, BBQ’s and you get a day off from work, but what are we celebrating? For most of us, it is a “labor free day.” But what if every workday felt labor free? When Labor Day first became a national holiday over 100 years ago, its purpose was to celebrate the average factory worker, without whom the U.S. would not have experienced the prosperity and production of that industrial era. Today, workers still want that same sense of contribution that their predecessors did, but something about meaningful work is seriously missing. What If Work Wasn’t Labor? Work doesn’t have to feel like work. In fact, not only should work be something we enjoy, but it should also be both meaningful AND financially rewarding. To reboot your career, you have to first get real about who you are. What are you passionate about; what are you good at? Do you know WHY you want something more? Purpose is our BIG “why” – and it explains why we have certain strengths and passions. Purpose explains what makes you tick at the deepest part of your being. Purpose is what brings meaning to work; however, it doesn’t necessarily bring financial success. To have both meaning AND success, you also need to know your career persona, which defines WHAT type of work you’re naturally gifted at, AND it also helps you understand the real value you provide to your employer. Guess what? When you know your value, it is easier to get the job you want, and to earn more because you are doing work you’re NATURALLY gifted at. Starting this week, Succeed On Purpose’s famous live workshops are launching as online, on-demand programs that professionals can use to reboot their career, whether you’re early in your career journey, or facing a mid-life career change. If you’re not sure what your purpose or career persona is, check out the Discovery Program – where your satisfaction and success is guaranteed. 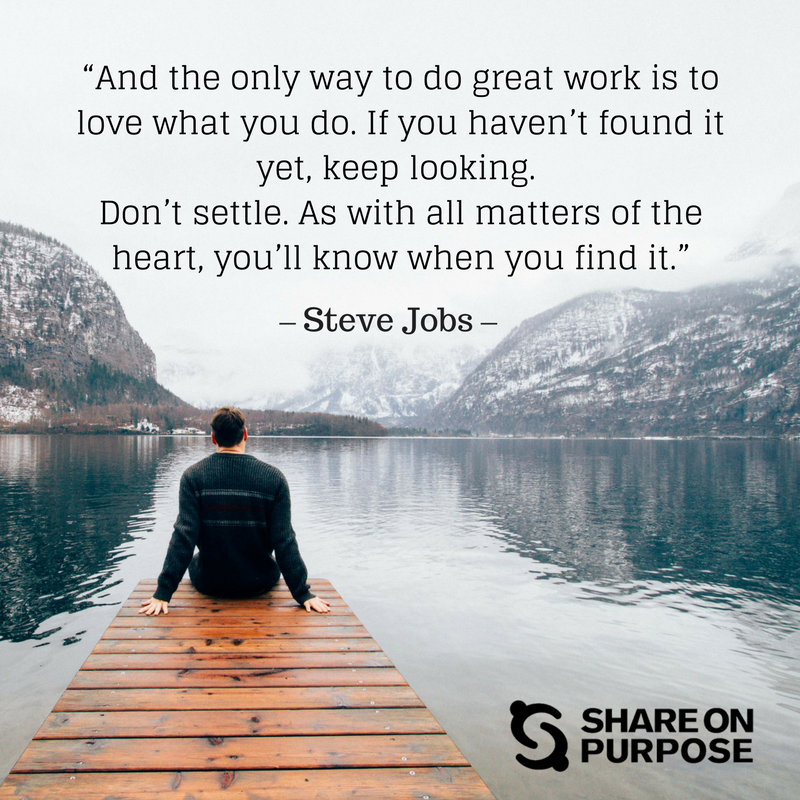 Find your purpose and persona, and you’ll quickly learn how to focus on finding work that does not feel like labor. Work does not have to be labor. It should be meaningful, joyful and financially rewarding. The only thing that holds people back from making a career shift to meaningful work is fear. Fear of failure, fear that we’re not good enough - you get it. We get used to a steady paycheck, and a comfortable life, and soon we’re dreading Mondays and looking forward to the days OFF, rather than being turned on by our daily work. The Succeed On Purpose Pure Confidence Program is designed for those who want more out of life, and are willing to do the work to break through the fears that stand in our way. By learning how to identify barriers and remove them and move forward, you can tap into the hidden power within that’s just waiting to be unleashed. Being stuck in a job that you don’t enjoy, will always feel like labor. 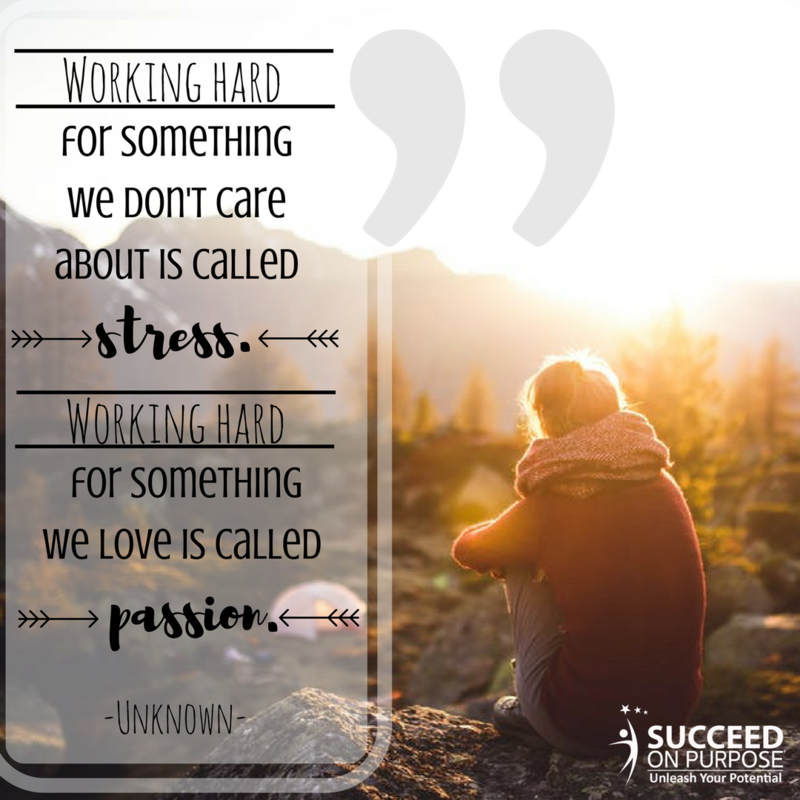 Stop laboring and start succeeding ON purpose! Work toward real success by taking time to learn your purpose and how to tap into pure confidence so you can get on the path to MORE. A believer in strong communications and lover of all types of content, Laura is passionate about telling others’ stories in a way that resonates, regardless of the medium. She is a student of the Find Your Purpose and Pure Confidence programs. Her purpose, to give voice, let’s her be the channel for many to reach the masses with their own compelling stories. She has decades of content experience and is an Amazon best-selling author.